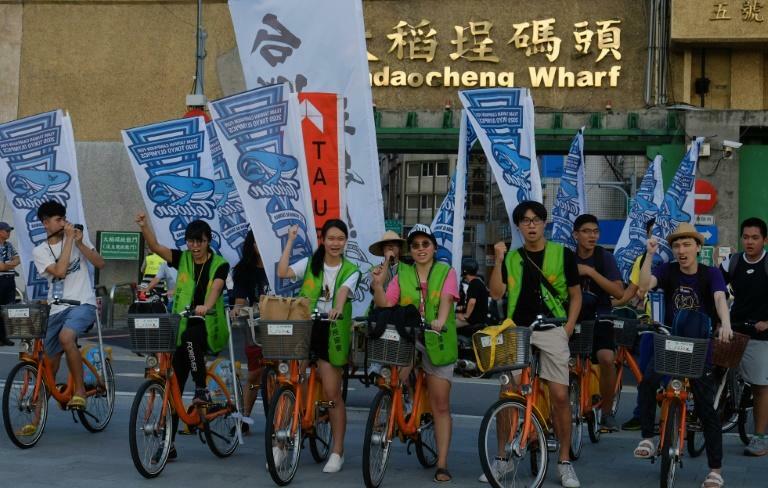 Taiwan independence campaigners will take to the streets Saturday for what they hope will be a major rally in a rebuke to Beijing and a challenge to the island's already embattled government. The protest in central Taipei comes as China increasingly pushes its claims to the self-ruling democratic island and President Tsai Ing-wen struggles to appease Beijing and independence factions. 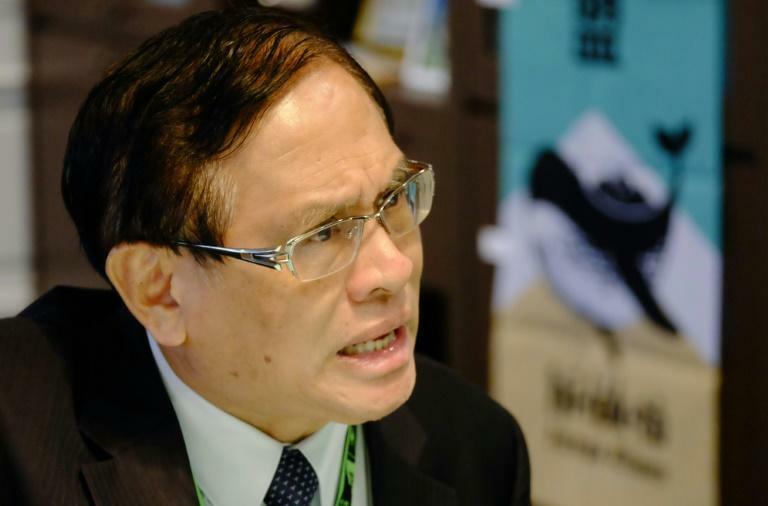 Organised by new group Formosa Alliance, which is backed by two pro-independence former Taiwan presidents, Lee Teng-hui and Chen Shui-bian, the rally will call for a public vote on whether the island should formally declare independence from China. Organisers say they aim to draw 100,000 people. "Every Taiwanese should get to choose Taiwan's future. It should be a decision by the 23.57 million Taiwanese people, not by China or Xi Jinping," said veteran independence activist Kuo Pei-horng, head of the alliance. Chinese authorities have already said the Formosa Alliance should not go down what they called a "dangerous path". But Kuo, 63, who was blacklisted by Taiwan's authoritarian Kuomintang government in the 1980s for promoting independence, says it is worth the gamble. "I think if (China's President) Xi were ready to invade Taiwan, his troops would have already come or he could have found any excuse to do it," Kuo told AFP. New Power Party chairman and lawmaker Huang Kuo-chang, who made his name as a leading activist during the anti-China Sunflower Movement rallies of 2014, said the public should join Saturday's rally to "say no to China's ambitions to annex Taiwan". China is particularly sensitive to the island's use of names, emblems and flags as it sees them as an expression of Taiwanese sovereignty, and under Beijing pressure Taiwan has to compete internationally as "Chinese Taipei". Even though her Democratic Progressive Party (DPP) is traditionally independence-leaning, President Tsai Ing-wen has said she wants to maintain the status quo with China. But that has not prevented relations deteriorating since she took office in 2016, as she refuses to adhere to Beijing's line that Taiwan is part of "one China". Beijing has made a multi-pronged attack to erase the island from the international stage, including blocking it from global forums and poaching its dwindling number of official diplomatic allies. The Olympic and independence referendum demands reflect disappointment in her strategy, says Jonathan Sullivan, director of China programmes at Nottingham University. "These efforts are symbolic of the rising frustration of seeing a cautious DPP leader being punished by China, even when she's making the effort to be careful and conservative in cross-Strait relations," Sullivan told AFP. The DPP has publicly prohibited its officials and candidates from attending Saturday's rally, which will be held outside the party headquarters. But observers say independence campaigners feel a sense of urgency in any case, as the DPP holds the leadership and a parliamentary majority for the first time. "For the activists now is a golden time to push their cause," says Chang Ya-chung, a political analyst at National Taiwan University. Some voters agree that there needs to be a new effort to carve out a place in the world for Taiwan. 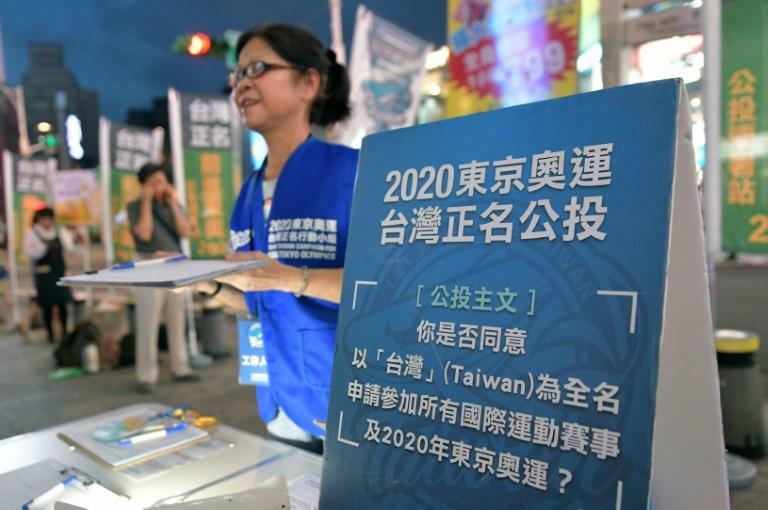 "I think Taiwanese consciousness is increasing and the consensus to rectify our country's name is also on the rise," graduate school student Hung Pang-jen, 23, told AFP in Taipei. "Taiwan is already at a disadvantage internationally and if Tsai pushes for independence, we will be further marginalised and isolated," said college student Kuo Yu-hsuan, 20.